I want to look more closely at the interplay of theory and experiment.8 Historically, in the Western world, up to modern times, explanatory schemes for the physical world were very limited in number and in scope because, for the most part, people realized that the physical world is too complex, too interconnected in all of its components, for anybody to devise a useful comprehensive theory. Even if they began with the assumption that they could somehow understand the physical world, they realized that they were a long way from grasping it in a way that could make sense of its totality. They had little choice but to acknowledge that there are huge limitations on the ability of the human mind to form a coherent picture of something as complex as the cosmos. So what you get is a number of limited attempts to form mini-frameworks that they felt comfortable using to explain a given set of phenomena, and help them understand events within the range that they cover. It’s worth looking at a few examples of the early interplay between experience and frameworks. People have always dealt with different kinds of material objects. In fact we give different names to different eras in prehistory based on the kinds of materials that people dominantly used or the progress that they saw in developing new materials. We speak of the Stone Age, the Iron Age, the Bronze Age: all of these reflect changes and advances in the way matter is handled in everyday life. Then of course there were all the other materials people used for construction—things like bricks and hay and wood and debris. From what we can tell the introduction of new materials or the variation in the use of existing materials was a matter of trial and error and inventive innovation. Clearly it would have been advantageous to have some kind of the theory of matter that would enable more guided experimentation to take place. And there is no doubt that people tried to come up with such a theory from earliest times. We have a record of some early Greek attempts to do this, and the results were not satisfying. For example the Eleatics looked at the various transformations that matter underwent, like going from solid to ashes when burned, or melting, or evaporating, or becoming alloys by mixing metals, and concluded that there was basically only one kind of matter, and that it was able to take on different characteristics. The famous phrase “all is one” was their mantra, but it really didn’t lead anywhere because it didn’t have within it the seeds of new experiences. 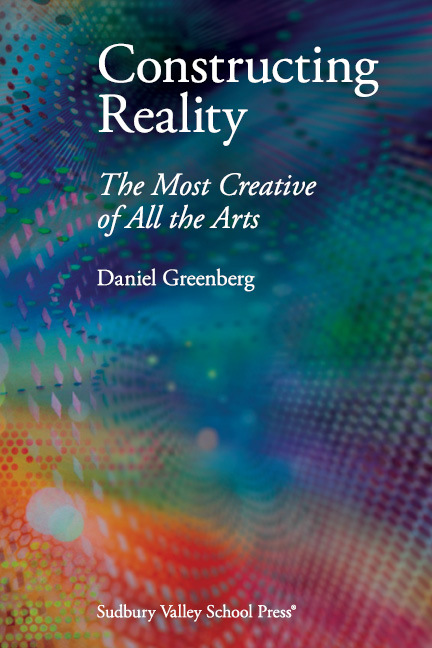 They themselves realized this and decided to call the experiences of the real world simply “illusions”, and their commentary on the events that happen in the real world was titled “the world of illusion”. The first record we have of a useful overall framework for the matter that makes up the physical world was presented by Aristotle. He put forth a scheme that considers the universe as basically a static and stable configuration that seeks to maintain its inherent order. It can be perturbed, but when it is perturbed, its tendency, its desire, is to go back to its stable state. That view of the universe assumes that there is a particular way things are properly configured, and that all of the movement that involves perturbations from that stable state will ultimately cause the universe to return to it. That picture turns out to be a highly useful explanatory scheme because it gives you a framework within which you can explain a lot of experiences. Specifically, the theory begins by assuming four different kinds of earthly matter: solid (usually referred to as “earth”), liquid (“water”), gas (“air”), and heat (“fire”). Each of these was considered to have a natural place in which they exist. At the center of the perfectly spherical universe are solids. Floating on top of the solid core are liquids, and above them, gasses. When you displace them, they try to return to their natural places. When you place a piece of rock on the surface of a lake and you let it go, what does it do? It doesn’t go upwards, it doesn’t go sideways, it goes straight down—back to its natural place—it sinks to the bottom, rejoining the solid matter that is the lake bed. If you have any experience with artesian wells, you know that when you dig them, water, released from its trapped state, rises out of them. To be sure, often you have to draw water out of a well, but that’s because it’s trapped; the framework allows for that experience too. And if you go under water and blow bubbles, the bubbles will go upward, rejoining the air above the water. They’re not going to stay in the water, they’re not going to sink towards the earth. It’s a coherent framework. Finally, the fourth form of matter is heat, which resides above the other three. Heat rises. There are other consequences of Aristotle’s theory that led people down many blind alleys. Aristotle’s theory does not provide any inherent distinctions between different kinds of solid or different kinds of liquid or different kinds of gas. From his vantage point differences arise from different manifestations of the characteristics of matter. So in that framework one can transform any manifestation of matter to another one by simply figuring out how to modify its characteristics—for example, by adding heat, or mixing different batches of matter which show different characteristics. The trick is to find out how to do this. This concept led to centuries of seeking the way to transform different manifestations of matter into gold—an enterprise that was labeled “seeking the Philosopher’s Stone”. In fact, no less a natural philosopher than Isaac Newton spent most of his time and energy on this search, becoming one of the most prominent chemists (or as they were called, alchemists) of his day. The failure to achieve this transformation was one of the practical set of experiences that ultimately led to the atomic theory of elements, which stated that different forms of matter were in fact fundamentally different kinds of matter that were not in any way interchangeable. This new framework, which emerged in the 19th century, in turn produced a great many useful results, only to be replaced in the 20th century by a theory much more similar to Aristotle’s, a theory that stated that all the manifestations of matter were simply different configurations of the small set of what were called the basic particles of matter. So far, so good. This ancient Greek framework embedded a large variety of experiences, and served as the starting point for developing a great many partial frameworks within it, that in turn guided activities in many arenas. But still left to explain was the heavenly sphere surrounding the earth. The heavenly sphere is clearly rotating, one full turn every day. Everything else moves in straight lines when left to its own devices. Heat goes straight up. Rocks fall straight down. So how to account for the heavens? The solution was to introduce a fifth kind of matter, celestial matter, which doesn’t move in straight lines, but rather in perfect circles.10 That theory was the foundation of Ptolemaic astronomy, which tried to account for the lack of stability of planets in the heavenly sphere by saying they also move in circles—not in sync with the circular motion of the stars, but rather in circles that ride on circles that ride on other circles, called epicycles, centered on the heavenly sphere. Ptolemaic astronomy was another example of the usefulness and adaptability of the basic Greek framework for exploring the physical world. There’s a lot you can get from this framework as a guide to practical matters in everyday life. This Greek theory of matter is an excellent example of the interplay of theory and experience. People are always seeking to understand, to provide a context within which they can group reality. For the most part, in everyday life, the context is simple, and requires no broad theory. When I wake up on a cold morning, I find warm clothing, and I don’t bother worrying about theories of heat or climate. But at some point I begin to wonder about what kinds of clothing I need in general, and I look for a broader framework to enable me to understand, when it will be hot, what kinds of clothing I have to possess. I plant seeds that turn out to grow into nourishing plants, and I realize that the circumstances that enhance the production of food have some similarity to those that govern the temperature variations that I’ve wondered about for my wardrobe. Theory and experience intertwine, one feeds the other; theories become enriched when they connect more and more experiences, and experiences become more varied and productive when theories suggest new departures hitherto not contemplated. Generally, the drive to construct frameworks intensifies when some particular circumstances cry out for a need for a new comprehensive theory. An example of a pressing need for a framework to explain a group of phenomena arose early on with respect to warfare. Armies have always used projectiles in war—spears, arrows, catapults—and obviously if you’re going to have a successful campaign you have to know how to use them effectively. Everybody knew, without the need for much of a framework, that if you pick up a rock and throw it at someone five feet away, you’ll probably hit him. The more he moves back the less likely it is you’ll achieve a hit, because the rock is going to fall before it gets to him. Now, consider the flight of an arrow. Experience teaches that in order to get it to go further, several things have to happen. You need more tension in the bow and in the string. You need better arrows that are more aerodynamic. And you need to adjust the elevation of release, taking into account that the higher the elevation you aim it, the farther it will go. People in the military like nothing better than to have some kind of framework within which they can accurately hit a target that’s a certain distance away. As time went on, specific experiences multiplied, but a useful framework was elusive. Certainly not for lack of trying! Not surprisingly, it was Newton who first created a theory that filled the bill fairly well. Theories aren’t created in a vacuum. People don’t just sit around and say to themselves, “I’m going to make up a new picture of how the world works”. New theories are always driven by a desire to provide a framework for experiences that will be productive going forward—one that could be useful in understanding how the world works, and thereby able to affect it. Theories don’t emerge from experience; they are creative, imaginative schemes to account for experiences. Every human being has his own unique world view, his own unique collection of theories that he uses to explain his world to his satisfaction. 8. Apropos of word definitions: I use the words “theory”, “framework”, “world view”, and “explanatory schemes” interchangeably. So too with the words “experiments”, “experience”, “activities” and “actions”. 9.This is quite similar to the caloric theory of phase transformation. In that theory, when a certain amount of “caloric” is added to a piece of matter it will cause a phase transformation, and the amount of caloric is called “the latent heat of transformation”. 10.The recourse to straight lines and perfect circles reflects the Greek preoccupation with their theories of geometry, which infused many domains of thought in their culture. Lines and circles always had a special place of honor, reflecting a special kind of perfection in Greek thought. What human beings have been endowed with, and children exhibit in its purest form, is every person’s constant companion through life: the flexibility and resilience to face an uncertain future and a world full of surprises. Put another way: every human being has been endowed with the creative genius – yes, “genius”, as no other word would be adequate to describe the magnitude of the task and of the achievement – to construct frameworks for the purpose of understanding the world in which they reside. The more people retain their connection to their inborn nature – to the child they once were, whose characteristics are ingrained in their being – the less likely they are to live in fear of uncertainty.